Your happy customer tells a friend. Your unhappy customer tells everyone. When users experience browser problems on your site, they can't get stuff done. They become frustrated and vocal. Your job gets harder. A lot harder. You want to hide in a dark cave with scary bats. Don't hang out with scary bats. Get BrowserHawk IQ. 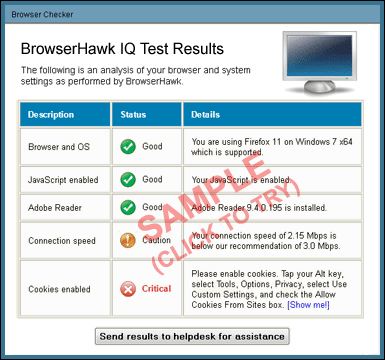 Only BrowserHawk IQ provides the enterprise-class, cloud-based solution you need to proactively help users who do not meet your browser and system requirements. It fully automates browser support, provides self-help to users, and collects diagnostic data for your helpdesk. And, it works just by adding two lines of HTML to your website. Browser problems frustrate and alienate users. This is easily solved by BrowserHawk IQ. BH IQ is an automated "pre-flight browser check" for your website users. It identifies users with unsupported browsers and settings that can cause failures or other unexpected problems on your site, and collects their configuration details for you. BH IQ can also provide users with automated help. 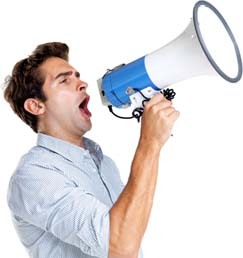 Users see your checklist of requirements and browser-specific instructions to fix their issues. For those who can't, your helpdesk will have their system details for easy troubleshooting.